In the autumn of 1941, Amelia J. McGee, a young woman of Cherokee and Scotch-Irish descent, and an outspoken pamphleteer for the NAACP, hastily sends her daughter, Ella, alone on a bus home to Georgia in the middle of the night, a desperate measure that proves calamitous when the child encounters two drifters and is left for dead on the side of the road. Shot through with Cherokee lore and hoodoo conjuring, Glow transports us from Washington, D.C., on the brink of World War II to the Blue Ridge frontier of 1836, from the parlors of antebellum manses to the plantation kitchens where girls are raised by women who stand in as mothers. As the land with all its promise and turmoil passes from one generation to the next, Ella's ancestral home turns from safe haven to mayhem and back again. 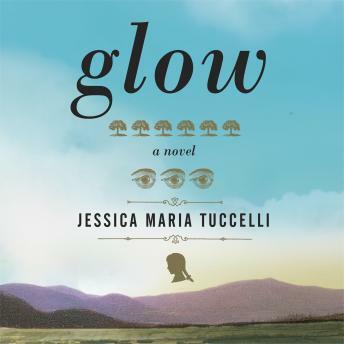 Jessica Maria Tuccelli reveals deep insight into individual acts that can transform a community, and the ties that bind people together across immeasurable hardships and distances. Illuminating the tragedy of human frailty, the vitality of friendship and hope, and the fiercest of all bonds, mother love, the voices of Glow transcend their history with such grace and splendor, they have the power to exalt the reader.